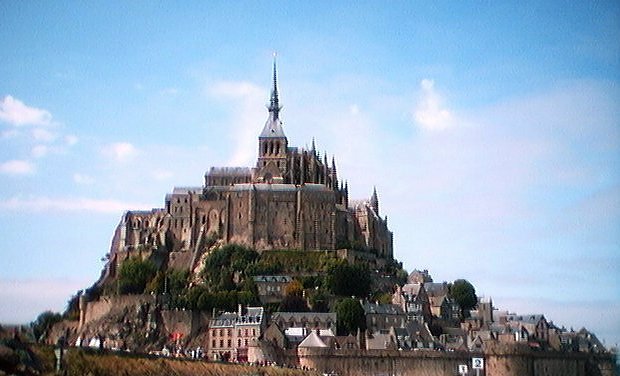 Le Mont St-Michel is basically a church on a mountain in the sea in France...but it is truly impressive. Maybe if I feel inspired one of these days, I'll fill this page up with a little history about it. 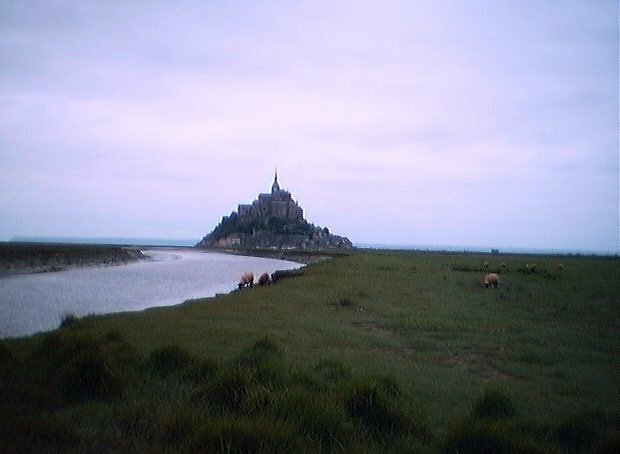 It is situated in the Bay of Mont St-Michel, which has strong currents, quicksands, and tides that periodically cover the parking lot ouside the walls. After a relatively cloudy morning, the afternoon sun illuminated the Mont, providing for some great photo-ops. All I wanted to do was walk on the beach. Once again, it was a long weekend, and there were loads of people finishing up their holidays on the coast. 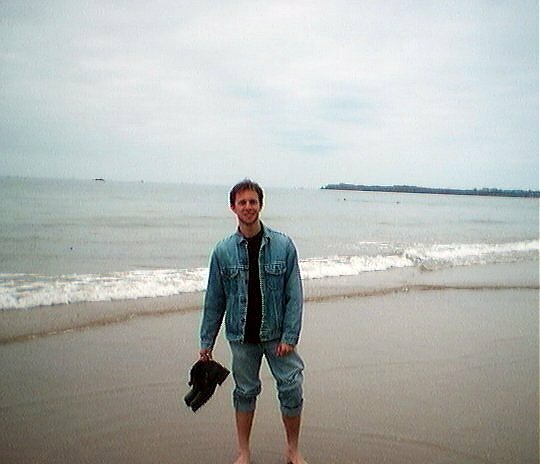 We found some really cool Delft shells (strangely enough) on the beach here. Nice backdrop. 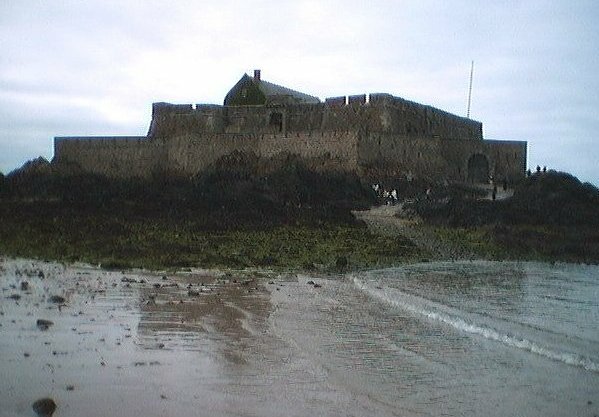 It's kind of like a sand castle that doesn't easily get knocked down by waves. And we got to see all this without melting the chocolate...imagine! Go to the NORMANDIE et BRETAGNE page.